Stan's Roofing & Siding installs quality, maintenance-free replacement windows to fit every style and budget. We offer only the highest-quality products from the nation’s leading manufacturers. Our experts will help you choose the right type of windows to solve all your needs. Whether you’re looking for a new look, improved energy efficiency and comfort, or a low-maintenance exterior, you can trust our window installation professionals to provide the results you expect with minimum hassle. If your windows are out-of-date or were improperly installed, we can replace them with windows that are beautiful, energy-efficient and long-lasting. Contact us today for a free estimate in Plainfield, Orland Park, Homer Glen, New Lenox, Tinley Park, Frankfort, Mokena and nearby Illinois! 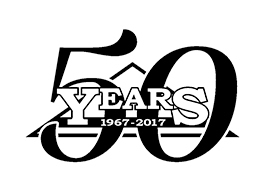 For more than 40 years, Revere has been providing top of the line building products including siding, windows, and doors. They offer a complete variety of styles and materials to fit any home remodeling project and allow homeowners to find the perfect remodeling product for their home. Stan's Roofing & Siding is Southwest Suburbs of Chicago' trusted window replacement company. We service most areas in the state of Illinois, including Bolingbrook, Naperville, Oak Lawn and even Orland Park, Plainfield, New Lenox, Homer Glen, Mokena, Tinley Park, Frankfort, and many more.